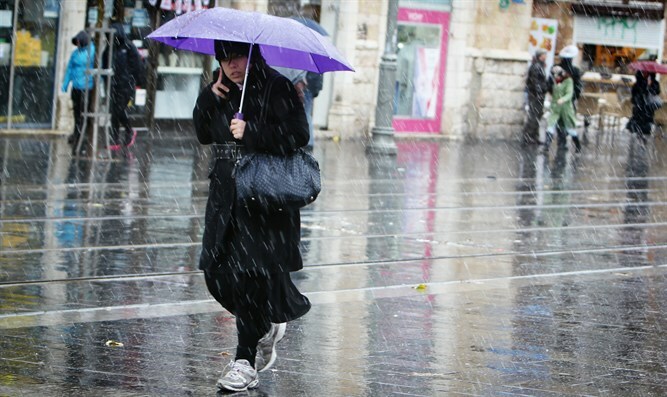 In leadup to Passover, Israel's summer turns to winter for yet another week. After just one week of summer weather, Israel may be in for more winter ahead of the spring holiday of Pesach (Passover). Monday will be partly cloudy or cloudy, with a drop in temperatures. Light rains will fall during the afternoon hours. Monday night will be partly cloudy or cloudy, with local rainfall across most of Israel. Tuesday will see local rainfall in northern and central Israel, together with a few thunderstorms. The wind will pick up and southern Israel may be hazy. There is a small chance of flooding in the Jordan Valley, Judean Desert, and Dead Sea areas. Temperatures will drop further, falling below seasonal average. Wednesday will be partly cloudy, with temperatures remaining below seasonal average. Local rains may fall in northern Israel. Thursday will be partly cloudy and there may be drizzles of rain in northern Israel. Temperatures will remain below seasonal average.